If you or your baby experienced an injury during delivery then let San Diego Birth Injury attorney for your family. Call at 619-236-9696 schedule a free consultation. Getting pregnant is not easy. Depending on your age, women who are older tend to have more complicated pregnancies and births. In the year 2019, one would think that the medical field would have birthing down to a science. They don’t. Our San Diego Birthing Injury Attorneys at Simpson Law Group has represented many clients whose birthing story was one of trauma and anguish instead of joy and happiness. The main cause of the trauma is medical negligence. 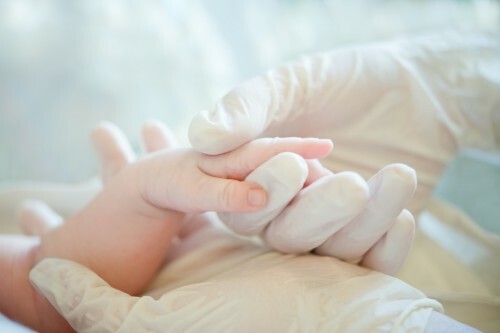 Medical staff and doctors failed to diagnose the child, did not use the standard of care during pregnancy or during childbirth, or medical staff or doctors were negligent in their behavior with the infant. We understand that doctors and medical staff are only human, but an error during birth can be a life-threatening event. Everyone has an opinion about how to give birth. There are some who believe in at home births in bathtubs with partners gently rubbing and breathing with you in the tub. Others believe that you should go directly to the hospital no matter what. Some have a firm belief in vaginal birth with no medicine while some swear off having children completely unless they are offered an epidural. Whatever birth plan you choose it should be discussed between you and your doctor. Your doctor should give you confidence about your birth story and forward about the issues that could arise. Babies have DNA. This DNA can cause birth defects in your child like a cleft palate or heart murmur. Because it is in their DNA there isn’t much you can do as the defect is the fabric of your child’s genetic makeup. Birth defects can also be caused by medications the mother takes like antidepressants. Birth injuries are things that happen to the baby not because of the babies genetic makeup. Birth injuries can cause a range of issues for your infant. Doctors or caretakers who are negligent, exhausted, or inexperienced can cause injury and harm to your baby. Most birth injuries are preventable. For example, improper use of birthing tools, failing to monitor your baby while in the womb or failing to perform an emergency C-section. The possibilities of something to go wrong in the delivery room are endless. You need someone who is experienced and confident to handle whatever happens. Unfortunately, not every mother experiences that kind of care and it is the baby who ultimately suffers. Birth injuries such as Erb’s Palsy, Cerebral Palsy, Spinal Cord Injuries, Shoulder Dystocia, Paralysis, and Brain Injuries are just name a few. If you or your baby experienced an injury during delivery then let our San Diego Birth Injury advocate for your family. The average cost associated with a birth injury can range between $400,00 to $1 million, conservatively. You deserve compensation and we are ready to get it for you. Call 619-236-9696 or click here to schedule a free consultation with a personal injury attorney at Simpson Law Group in San Diego today.